Robots Of The Future Are Ping Pong Tutors…And So Much More! This post is sponsored by Omron. All views are my own and may not necessarily reflect those of Omron. Last week, I was able to cross something off my bucket list: play ping pong with a robot table tennis tutor. 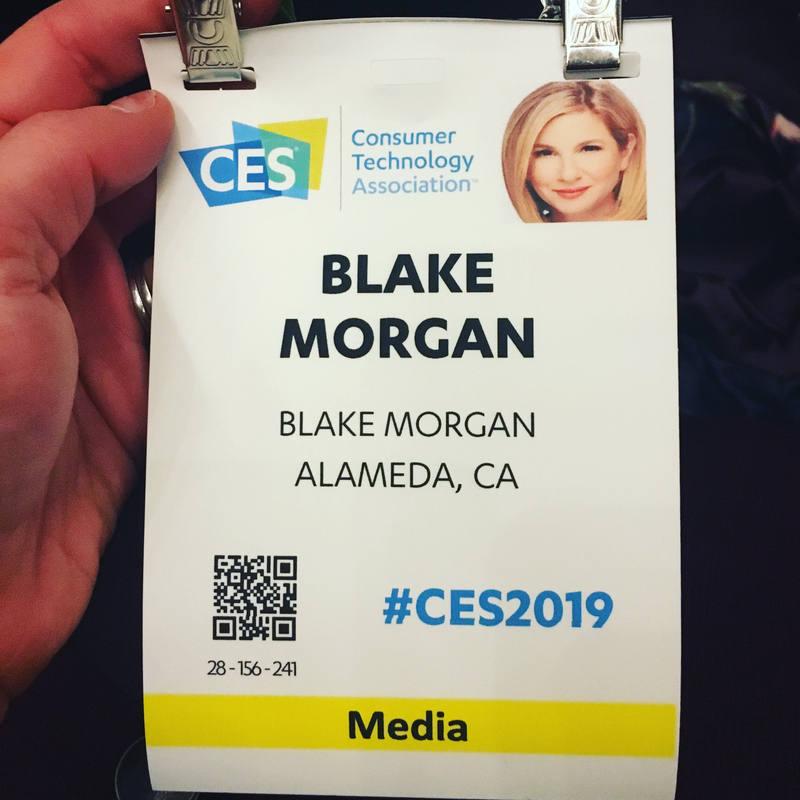 I attended CES (Consumer Electronics Show) as a partner of and was given the opportunity to go head to head with FORPHEUS, Omron’s AI-powered robot that demonstrates the core of Omron technologies showcasing how humans and robots can work together in harmony. I have to say that FORPHEUS and I had quite the match. FORPHEUS did more than just return the ball; it matched my ability and even gave me tips and recommendations to improve my game. As I got better and was faster returning the ball, FORPHEUS mirrored my speed and skill level. Aside from the smart AI that senses a player’s movement, FORPHEUS also has human-like skills. The robot has a multi-axis arm that can move similar to a human’s elbow and wrist. The arm allows FORPHEUS to return the ball with the same technique as a human. In order to compare me to a professional ping pong player, FORPHEUS has to have a strong understanding of the game and a good sense of my skills. 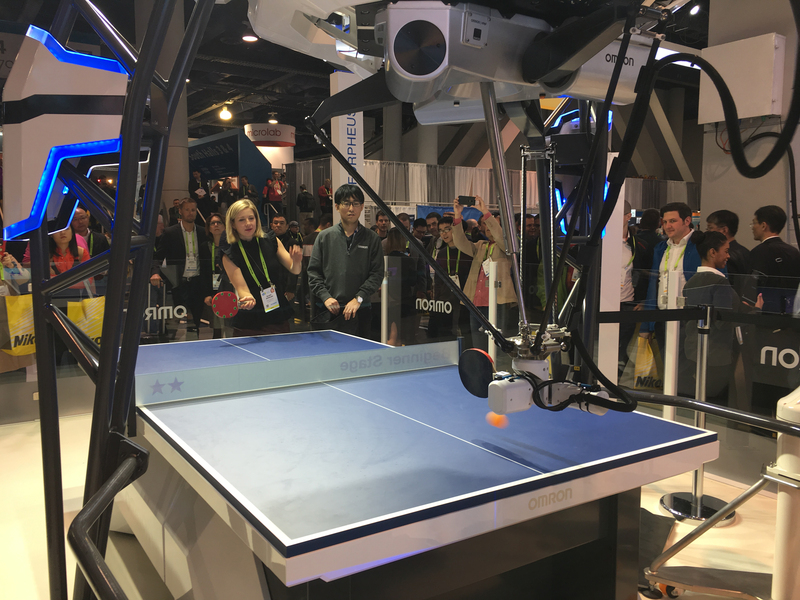 The robot has four cameras and a high-speed image processing stereo camera to sense the form and skill of the player, plus the position and speed of the racket and the ball’s trajectory. And that all happens nearly instantaneously. A robotic table tennis tutor might not be the most practical application, but it shows powerful technology that can be used to create harmony between humans and machines. FORPHEUS uses Omron’s Sensing & Control + Think technology. By learning from human interactions and movements, the robot can help humans improve and support human potential. The ideal form of automation would be humans and machines working together seamlessly and FORPHEUS demonstrates that it’s possible. The robot and I were a pretty good ping pong team, and its tips helped me improve. It went both ways—I learned from FORPHEUS, but FORPHEUS also learned from me and mimicked some of my behaviors so that we both got better. That’s the whole goal of automation. Omron is also making huge innovations in factory automation, mobility and healthcare with many of the same technologies used in FORPHEUS. 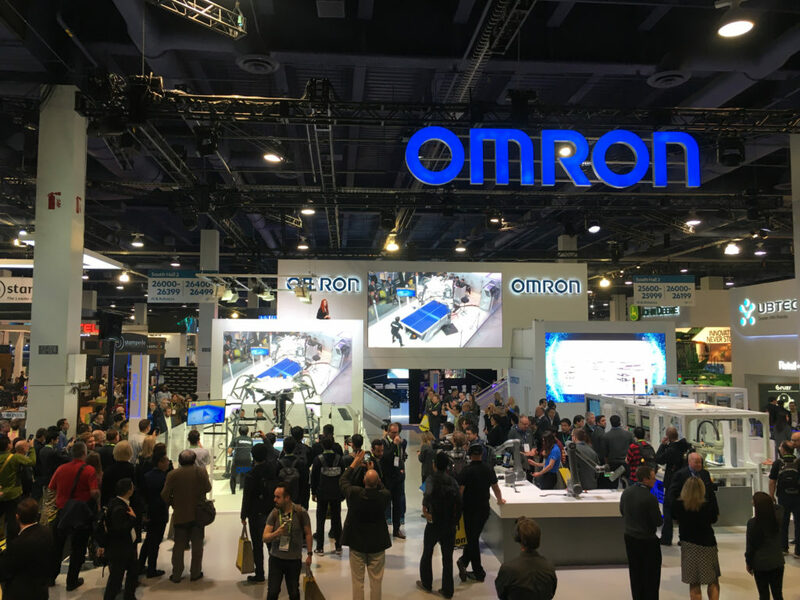 A lot of those technologies were on display at the Omron CES Factory Harmony exhibit that showed the robots in action on a future manufacturing floor. Some of the robots moved items to different areas, while others picked and placed items for customized manufacturing. The applications of both of these robots, as well as Omron’s other machine learning technology, is huge. Omron’s automated technology demonstrates the three I’s of future manufacturing: integrated, intelligent and interactive. This technology is already being used on actual manufacturing floors to improve efficiency, speed and customization. It likely won’t be long until we’re seeing an increased number of brands adopt these technologies. We might not all get the chance to play ping pong with a robot, but in the not-so-distant future, we’ll likely all be able to work closely with robots and automated machines. If we follow in the steps of Omron and FORPHEUS, where humans and machines work together in harmony, there is a high probability that robots will help to improve our human potential.